Khutbah after Khutbah, week after week, the same raged man behind the mimbar is heard speaking about a topic completely irrelevant to the vast majority of attendees of the local community. The Jum’muah Khutbah is for many, the only major outlook of communication between Masjid community members, the only source to reconnect a large portion of the community to the Masjid, and the only chance of preventing a significant portion of the community to falling into the grasps of Shai’tan. Contrary to common opinion, the purpose of the Jum’muah Khutbah is to inspire, over simply educate the people. Such is the ongoing theme throughout The Khateeb Workshop and one of the primary reasons of it’s initiation. 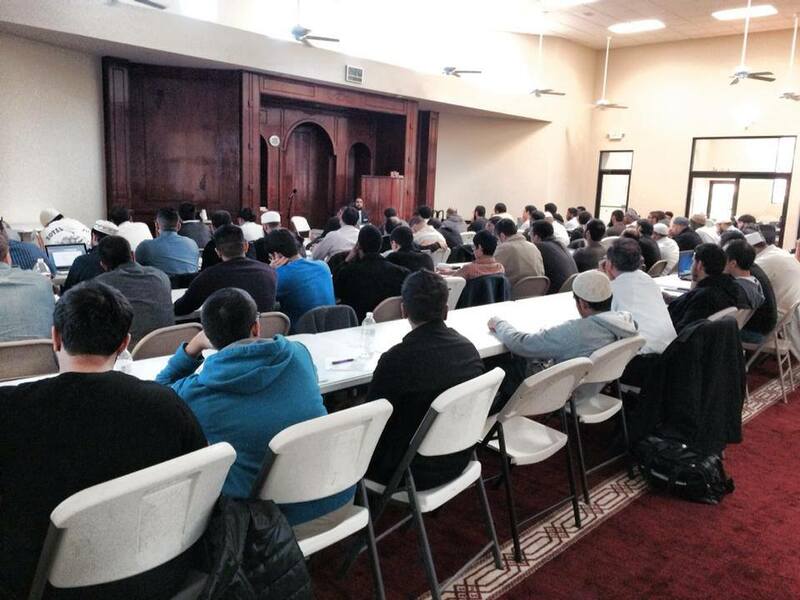 This four day – weekend long – workshop is dedicated to help create leaders, community activists, and reformists, that may go back to their local communities and emphasize the importance of the weekly Jum’muah Khutbah, by preforming khutbah themselves. 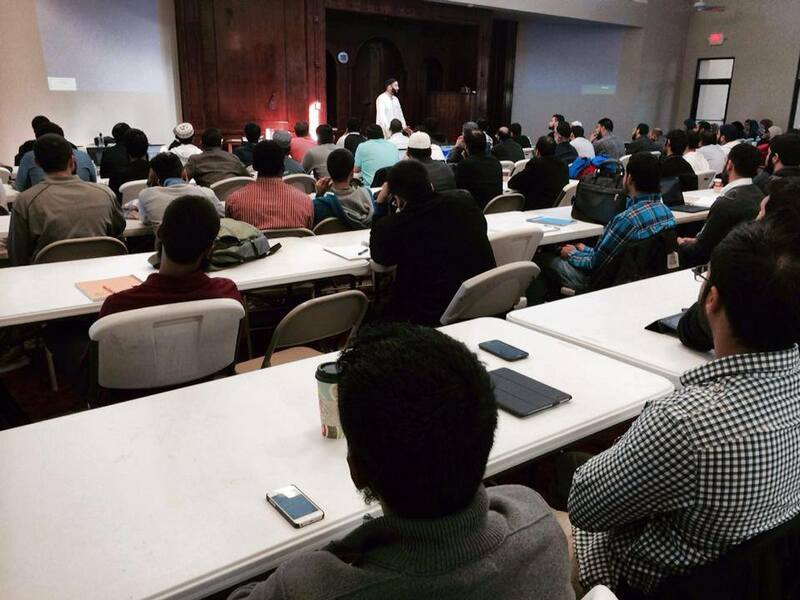 Interestingly enough, this workshop was attended by a strong and diverse crowd of Muslims, throughout the world, from Canada to the UK (shout out to Dawahman), Imams to simple MSA kids, brothers and sisters (Sister Public Speaking workshop), this environment of diversity made the class even more intriguing. However, was the workshop truly beneficial, and did it live up to the standards expected? The workshop displayed a strong premise, covering areas such as, the fiqh of Jumm’uah Khutbah, Khutbah logistics, Speech Construction, Communication, Public Speaking skills, Tarbiyyah for the Speaker, Topic Selection, and of course, Tajweed. Additionally, the last session we had was practicing the khutbah in the presence of a small group, which I also found beneficial. I found the above all beneficial because I personally felt that these sessions really hit me hard, not only in giving me pieces of rock hard information to work with, but also inspired and motivated me to do much more. The facts presented in these sessions were very beneficial and I found myself thinking through a different scope of perspective. Sessions with Shaykh Abdul Nasir Jangda were commonly focused on providing a fiqh standpoint on issues while motivating and inspiring us along the way, while Ustadh Omar Usman focused on beneficial logistics and a “how to” on constructing a practical speech, his experiences and input were very humbling. I found the one session with Ustadh Imran Haq quite informative as he took an approach similar to a college speech class, while also implementing pieces of Islamic knowledge along the way, to which overall his few hours of teaching beat the semester long of speech class I took. a similar view. His way of commanding us to recite the Qur’an, disciplining ourselves to stand straight, be firm, breathe in and out, and taking pride in reading the words of Allah swt, felt like an unnatural feeling of love for the Qur’an, one to never be forgotten. Shaykh Omar Suleiman made a surprise appearance, however, his surprise appearance was made worthwhile as his words were left imprinted within us, to be sincere, dismissing praise and accepting criticism, and the advice to “speak with your heart to speak to the hearts” of the people, subhan’Allah. With that being said, did the Khateeb workshop live up to it’s premise? One of the biggest components of giving Khutbah or public speaking in general, is practice and experiencing first hand. This is something that was mentioned by Shaykh Abdul Nasir Jangda, however, I felt like there should have been more of this component within the weekend long session. The amount of useful information on how to to speak publicly, as well as the why we should speak, was very captivating, however, this information can become more practical when actually implementing it throughout the class. With there being only one session of writing practice speeches, and another in actually practicing the speech, I felt like more practice of implementation was needed. There were a LARGE amount of attendees, so it is understandable on how this would not have worked logistically, however, perhaps another session or two of just us practicing in front of other groups and judges would be a possible solution. With that being said, I believe that the small suggestion I provided is only an atoms worth in comparison to the superior greatness of the workshop. Subhan’Allah, I was left in awe at how much dedication and effort was put into organizing a public speaking workshop at this caliber. I could tell from the sessions organized, that the information presented was years and years of experiences, mistakes, and perspectives put into a single 4 day weekend. The knowledge I personally learned from this workshop was so valuable, so complex yet practical, that on the last day of the workshop I was left wanting and thirsting for more time to spend with Shaykh ANJ and the instructors. There was a certain love and connection that was created between the instructors and between students that I have never felt before in any other Islamic event or weekend long session I’ve attended. 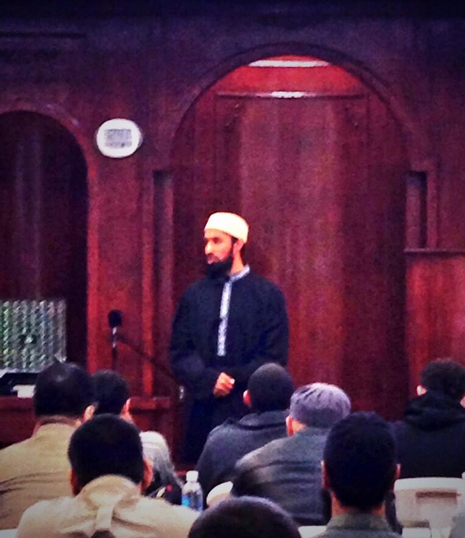 Also, unlike other Islamic classes I’ve attended, the Khateeb workshop was well organized and balanced. Meeting a diverse crowd of Muslims, working towards the same goal of working towards a better community, was truly heart warming. After attending this workshop I was left with motivation to do much, much, more, insha’Allah. Shaykh Abdul Nasir Jandga and the line of instructors should be appreciated for their work in organizing a much needed seminar. The beauty of the Jum’muah Khutbah was truly brought to justice. I pray to Allah swt that He may make our intentions clean, reward Shaykh Abdul Nasir Jangda and the intructors for their hard work, and allow us to implement what we learned. Ameen. Beneficial article, planning on attending next year inshaAllah. Next Next post: “Inspiration” – Trailer Breakdown!